I have been accumulating many ideas, brewery tastings and other “thoughts” since my last post. I promise to be more regular- not a Metamucil thing, but to pound the keys one finger at a time and share my humble beer adventures. Today I am sampling a new beer for me! I am pretty impressed. 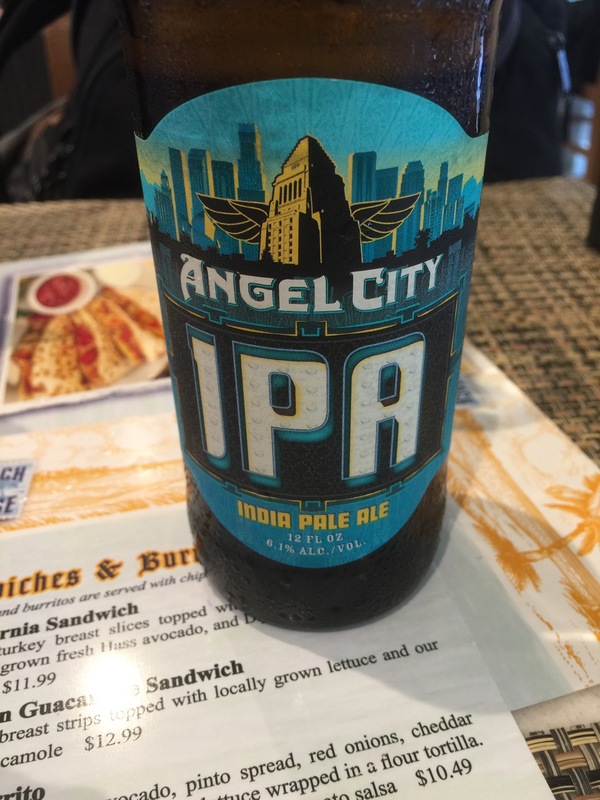 Angel City IPA. Good up front bitterness but a little low on my love of the late addition hops for aroma. I drank two to make sure! LAX at Corona across from gate 86 – waiting to fly off to San Francisco. I also promise to post tastings if 4 or 5 recent breweries – Whole Foods in Houston on Post Oak will be a special post- I promised Dave Ohmer that I would. Great head brewer and he is very creative. The Belgian with smoked pears, smoked right there in the store, was superb. The City of Angels has “done good”!